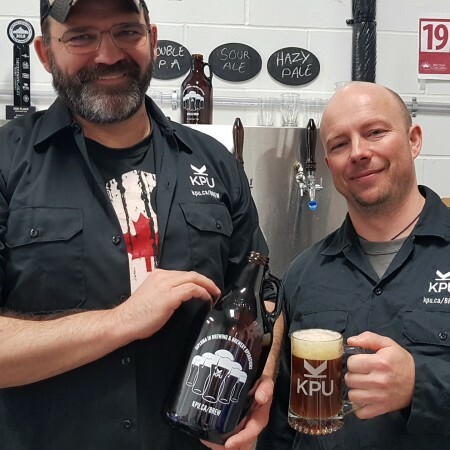 LANGLEY, BC – The Kwantlen Polytechnic University (KPU) Brewing Program has announced the launch of a series of 10 signature beers brewed by second year students as a part of their final semester in the program. Kapoentje will be available for growler fills starting tomorrow (January 25th) in the KPU Brew Lab brewery on the Langley campus. Bordas and Vreys will be on hand from 1:00 to 6:00 PM to talk about their beer. The other nine signature beers will be released over the next three months, with dates and details to be announced on Facebook and Twitter as they are confirmed.